Tomato Glasses are a range of light, comfortable and adjustable frames that are shape intelligent for newborn babies to 12 years old. Mr Sungjoon Kim founded Tomato Glasses in 2003 in South Korea, when his own son needed glasses. He found that the frames he tried did not fit properly and they could not be adjusted. The Tomato Glasses frames are made of a shape intelligent material (TR90 transparent Nylon material).If children play with it and twist it, the original shape comes back as though nothing had happened. Because of the elastic resistance, when pressure is applied to the temple, the initial position is automatically restored. Tomato Glasses tips are adjustable to perfectly fit to each child’s head. 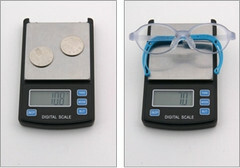 Tomato Glasses frames are very light, they weigh between 7.0 and 8.0g (depending on the size). With its unique nose pad and tips built by the Tomato glasses R&D team, Tomato Glasses frames don’t slide down even when the children jump or run. According with the European Union directive 93/42/EEC (Medical Device), Tomato Glasses Frame pass all the test described on the norm ISO 12870:2004, that allow the CE mark to be placed on the product.